A delicious breakfast recipe for your family. Full of sweet blueberries, this Brown Sugar Blueberry Coffee Cake will be just what is needed on a Monday morning. Breakfast is the most important meal of the day, you know. 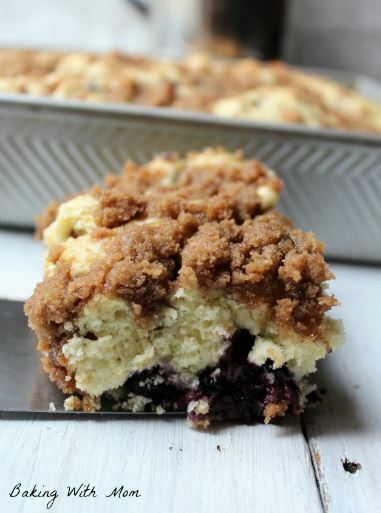 I mean if you saw this Brown Sugar Blueberry Coffee Cake, wouldn’t you have to agree? How could you say no to the sweet blueberries, brown sugar streusel topping and moist coffee cake? You can’t. Just admit it. I don’t get to make coffee cakes or apple cinnamon scones for breakfast too often, because I would have to get up pretty early on school days. 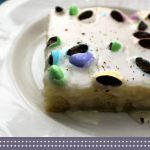 The kids (and hubby) enjoy a baked breakfast recipe on occasion and I enjoy making it for them. Just gotta be the right time. Sometimes if I know it is going to be a dreary day, I will make something special in the mornings for them. Listening to their cries of “Oh yum, Mom” and “Thanks Honey” brings a smile to my face. It can be made ahead of time, like the night before, and it tastes fine. I must admit, I like fresh out of the oven coffee cake. 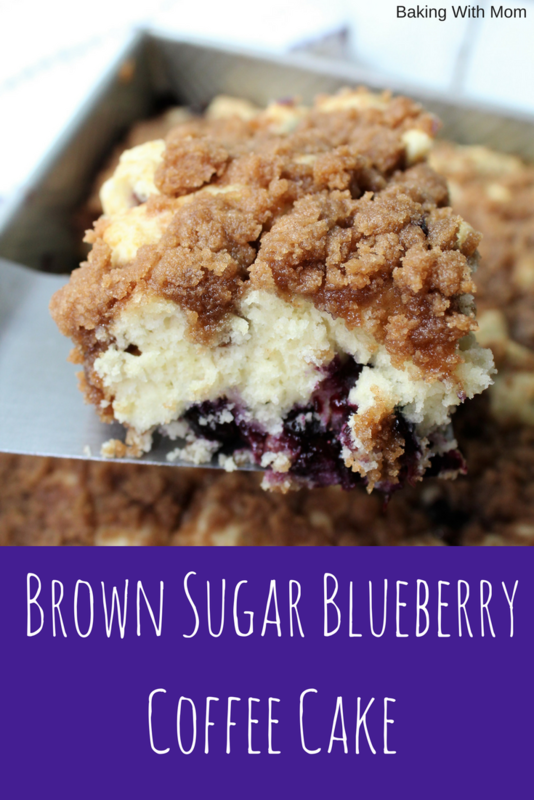 The blueberries are warm, the brown sugar topping is crunchy. Still good, day old, but just love the taste of fresh. This breakfast recipe is pretty basic and simple to put together. It can be made quickly. The only issue for an early morning bake time would be with the amount of time it needs to bake. It takes about 35 minutes to bake so be sure to plan it so all your loved ones get a piece before they head out the door! Want more delicious recipes? Join over 10000 followers on Pinterest! 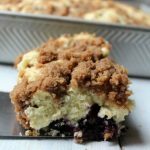 Brown sugar and cinnamon, blueberries and moist coffee cake make this breakfast blueberry coffee cake recipe irresistible! Sprinkle over top of the blueberry coffee cake and bake at 375* for 35 minutes or until cake test done with a toothpick. 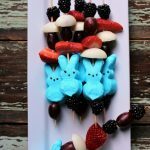 Can I use frozen blueberries instead if fresh? Yes you can! 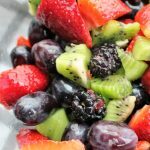 In fact, I use frozen blueberries more than fresh most of the time for this recipe. No need to thaw either, just put them in. I made this for my family this morning. it was a huge hit. I am vegan so I subbed a flaxseed egg and 1 mashed banana egg. I also used oat flour for the top because I just like oat cinnamon crumble and I used coconut milk instead of cow’s milk. I also used about 1/2 the sugar, anyway it was a HUGE hit. my kids ate about 1/2 the pan and im sure it will be entirely gone by tomorrow. I am so glad it worked for your family! Well, thank you for your comment! I JUST made this recipe as I listed it and it turned out great. Kid approved and all. I am so sorry it didn’t work for you. I think I will make it again and triple check again to make sure it is truly as it says. I would let it cool completely, then cover it tightly with foil and keep it on the counter. I hope you enjoy it! Use an Oven Thermometer.. And wait until the oven is properly heated to the correct temp before baking. 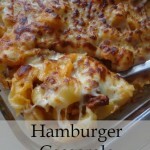 I haven’t made this recipe yet but it looks yummy!! Just one quetion, Should the brown sugar be “tightly packed”? I made this cake for my mother-in-law to take to a brunch she was attending. It definitely took quite a bit longer than 35 minutes to cook. It ended up dry. Wondering if 4 cups of flour with only one cup of milk was the right amounts. Could barely get it spread in pan as it was so thick. I really, really appreciate it when people leave truthful comments on my recipes whether they are great reviews or not. It helps me as a blogger and baker! 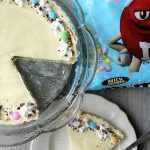 I have made this recipe many, many times at home so I do know it is a recipe that works well and tastes great. My family loves it. I will also up the time needing to cook. I am pretty confident on the time, as I have said, I make this recipe often. However, I know ovens vary so I will add that to the instructions as a possibility. Thanks again! Where is cinnamon added – to cake or topping? My cake is in oven and I just reread the recipe and saw cinnamon in ingredients! I did NOT add it. Oh, sorry about that. I was at church pretty much all day, you guessed it, preparing food for a crowd. 🙂 The cinnamon is in the topping ingredients. Coffee cake? You won me with that title. I can’t wait to try this recipe myself!